Proper handling of items. 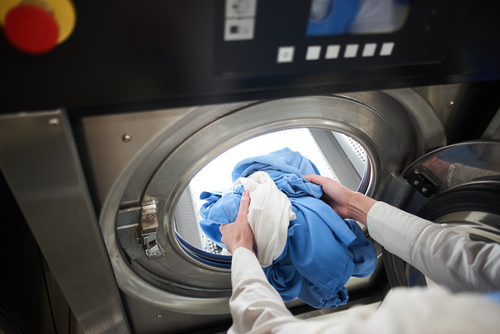 Laundry services with good standards operate in clean surroundings. They keep their premises free of dust, dirt or any other materials that may sully the clients' clothes. They also do not allow smoking so that the items retain its fragrance from the wash. Additionally, quality laundry service is done by trained personnel who take all the necessary steps to care for the clients' items. Be efficient and timely. Time translates to resources, and the sooner the items are returned to the clients the better. A good launderette can perform its washing services at a minimum of three hours per visit. They do the job as soon as possible for the convenience of the client and also to get more jobs done, a mark of a serious business. Good and professional launderettes can also provide same-day collection and return services to even bulky items like rugs and carpets. Competitive rates. All clients want services that are worth what they are paying. Some launderettes may offer services at a low price but have a shoddy output. But on the other hand, the high price may not always mean quality service. So what you would like to look for is a launderette that gives quality service at the minimum price. Offer a variety of services. A mark of good laundry service is that they can clean not only different types of clothes but also different items. Being able to supply laundry services to various clients is an indication that a shop already has a lot of experience in the business and can accommodate whatever requests may be given to it. Life can be fast-paced, emotionally chaotic and full of busy schedules; schedules that rotate between work and entertainment. This can leave you with little time to do yours. If you have found yourself caught up in the tight work-entertainment schedules, the next best thing to do is a source for a laundry service to handle your laundry. Some fabrics also require extended care that you may not be able to apply at home. Sourcing for a good and reliable laundry service provider is however not easy. There are so many questions that you need to ask before you can finally hire the services of a launderer. i. Does the launderer understand the most common type of stains that may affect clothes? ii. How many years has the laundry service provider been working? iii.What detergents will they be using to clean your clothes? iv. 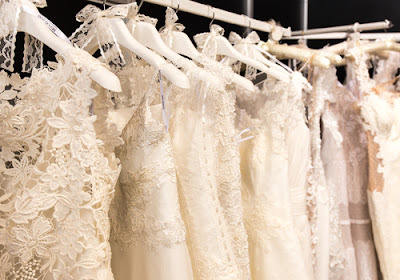 How reliable is the dry cleaner and how long will they take to clean and deliver your clothes? These questions will help you have a clear idea of the dry cleaner you will be dealing with and how effective they can handle your work. Remember if you are staying somewhere for long, it is highly recommended that you choose a dry cleaner who you can stick with for the long term. 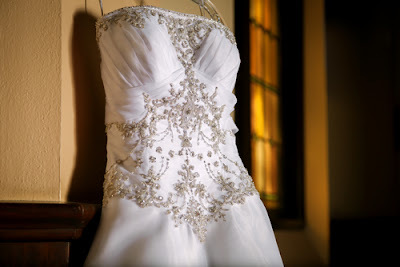 It will save you costs and time you may spend hopping from one dry cleaning provider to the other. It is also important to consider the charges and compare them against several other providers. Things could be cheap, but if you are not constantly doing the math to get the best bargains, you could face it on the rough. Comparing prices between several laundry service providers will give you a rough estimate of the charges to expect before you settle of one. Other factors to consider will have to do with the frequency you will be taking your clothes to the dry cleaner. 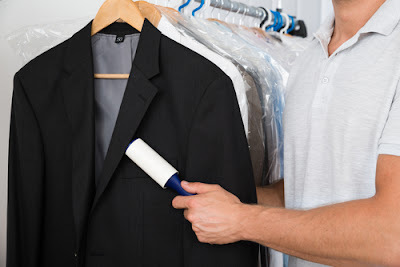 If you are working in the office, you could even decide to take your clothes to the dry cleaners only once in a week. Some materials also do not require constant washing and a wiping with special detergents could be all that you need. With the fast-lane life, hiring a dry cleaner that can provide extensive services will be an added plus. Many providers include pick and delivery services in their menus at a little cost. This can save you a lot of time in your busy schedule. Finally, utilize the internet as much as you can. 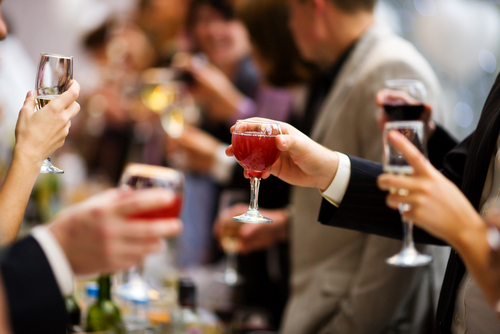 Visit the forums where business services are being discussed. 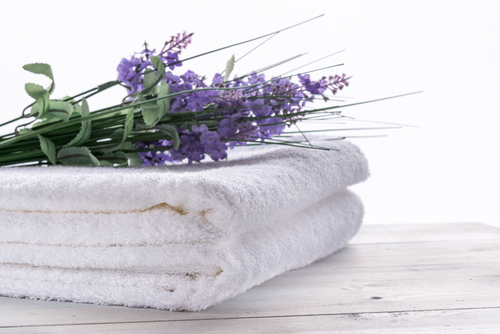 Chances are you will bump upon a stream that is discussing laundry services. It is imperative that you find as much information as you possibly can from the internet before you finally get into the field. All too often, we find ourselves too busy with life's daily tasks - a business to run, reports to send, people to meet and socialize with - and there just is not enough time for life's more mundane chores. Like doing the laundry, mainly the laundry. Those precious times we spend waiting for the spinner to stop seem particularly ill-used when we know we could spend it doing more important and rewarding things like playing with our kids, finishing an assignment, even taking a good rest. Good thing there's a simple solution to this problem: make use of laundry services. Now, taking advantage of hiring launderettes, we can avoid the common problems that we meet when we do our washings. Because these shops have trained personnel, they know and do the proper handling of your clothes. Also, because of their experience, the people you hire can identify which types of fabrics must be washed in a particular way (saving you not only money but also from embarrassment). And when your clothes are returned to you, you will find them already neatly folded and stacked you can put them to your wardrobes right away - no more need of hauling baskets after baskets and the mind-numbing task of folding and segregating. Adding to that, laundry services also offer other related services that you similarly would like to avoid - ironing and cleaning the carpet. So, all in all, by availing of laundry services you can save yourself the time and effort wasted in doing your laundry, plus your clothes get better cleaning quality. By making the best of their offered services, you no longer have to undergo the painful waiting for the washing machine to go off while worrying that more important work is not getting done. And the energy you use for your clothes - from collecting the laundry to its ironing - is used in doing the better and more pleasurable things in life. Is Dirty Carpet Bad for Your Kids? A dirty carpet does not just ruin the overall look of your home. There are actually more serious dangers to a dirty carpet than the dust and grime that settled between the fibers. If you have kids, then you will find that vacuuming the carpet is often not enough – you have to do a deep cleaning if you want to protect the little ones from all the dangers posed by a dirty carpet. 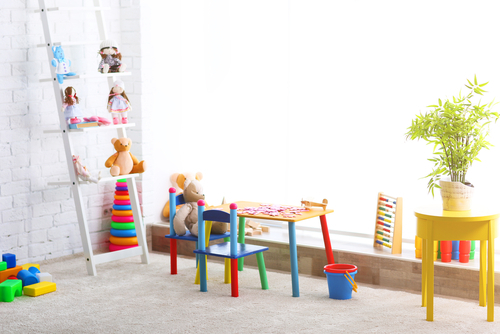 Children are the ones most vulnerable to dirty carpets because they often play on the surface. The fact that they are smaller also means that dirt coming from the carpet reaches them first. Not convinced yet? Here is what you should know about the dirty carpets and how they can cause problems. Although asthma is largely a genetic disease, there are instances when frequent exposure to dust can lead to the development of asthma. This is especially true if you have younger children. Babies have fairly weak lungs and consistent exposure to dust can further weaken their organs, causing asthma problems as they grow older. In a country like Singapore where vehicle traffic is high, even just leaving the windows open causes an accumulation of dust on the carpet. Asthma is just one of the many respiratory issues that could develop with a badly cleaned carpet. Bronchitis, croup, and difficulty breathing are just some of the most common problems that could occur. Since kids have a weaker immune system, they are actually more prone to having these health issues as opposed to adults exposed to the same environment. Do not forget the presence of mold which can be more deadly than dust and dirt. Mold is often trapped in the fibers of a carpet and then inhaled by inhabitants of a home. Children are more prone to this, especially if they like to play on the carpet surface. Today, there are literally millions of types of mold triggering all kinds of health problems from the simple to the serious. Even worse, mold can be hard to get rid of one it starts growing in a home – which is why it is usually better to prevent it from happening in the first place. If you have a dog, cat, or any kind of furry pet – then chances are you also have fleas and ticks in your home. These parasites often stay in carpet fibers as they fall off their host. Unfortunately, fleas have been known to bite people, creating incredibly itchy red patches on the skin that takes days to disappear. Fleas and ticks can also be carriers of certain diseases such as Lyme Disease. Flea bites is just one of the examples of possible skin problems you or your child may have with a dirty carpet. Scabs, ringworms, and other skin issues may surface as children become exposed to whatever microbes are in the carpet. Dirty carpets tend to smell badly, enveloping the whole house in the stench. You will find that being exposed to bad smells on a daily basis can cause all sorts of health issues such as nausea and dizziness. 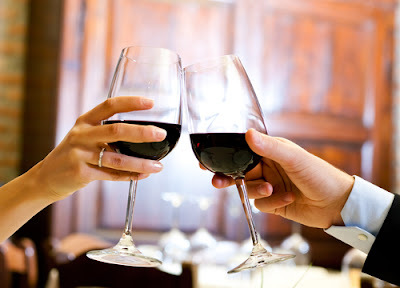 The good news is that these problems usually go away as soon as the bad smell is removed. You will find though that when allowed to linger for long, it can actually compromise the sense of smell of individuals. For most people, smelling something bad can severely affect their appetite, making it more difficult for them to eat sufficient amounts of food. Studies show that a dirty carpet can also increase the stress levels of an individual. This may have something to do with the disorganized look for a dirty carpet or perhaps the fact that you are exposed to more grime than usual – but be assured that this can cause havoc in how you relax in your own home. 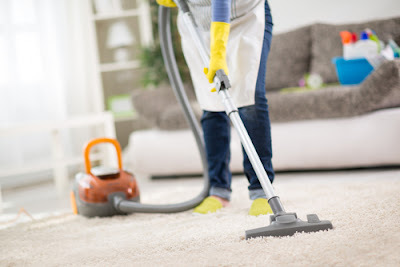 Although it is mostly the adults who are stressed by dirty carpets, it is definitely a good reason why cleaning them is crucial for your well-being. Perhaps the biggest health risk of a dirty carpet to your child is a weaker immune system. Once the immune system is compromised, it is fairly tough to bring it back to a healthy level. Children may suffer from this problem all throughout their life, making it harder for them to recover from even the most common bacteria and viruses. Kids with weak immune systems are more prone to colds, fungal infection, fevers, and a host of other diseases that can normally be fought off by the white blood cells. Health is a primary reason for keeping your carpet cleans – but it is not the only one. You will find that allowing your carpet to gather dust and grime over the years shortens its life span. The fibers lose their thickness and become flatter faster. The dirt also becomes very difficult to remove if left alone, which usually means you will have to replace it rather than just clean it up. Typically, a carpet will last you 10 years when cared for properly. Without routine cleaning, however, the 10 years is reduced to 5 years or even less, depending on the amount of abuse it usually gets. Considering all the negative aspects of a dirty carpet, your incentive for keeping the surface clean should be doubled if not tripled. This is especially true if your Singapore home tends to experience more foot traffic than usual. 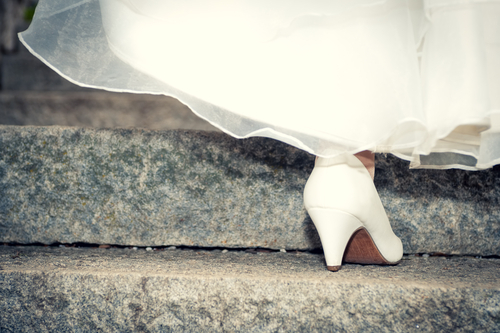 Remember: people can track in all kinds of dirt, bacteria, and spores through their shoes. Constant cleaning is crucial so that you can avoid the health risks given above. To ensure the safety of your child, however, vacuuming is often not enough. A more thorough cleaning with the help of professionals is often important to ensure that every fiber is free of harmful micro-organisms. With professional cleaning performed a few times a year and regular steam cleaning on a routine basis, you will be able to limit the health risks of your child from dirty carpeting. 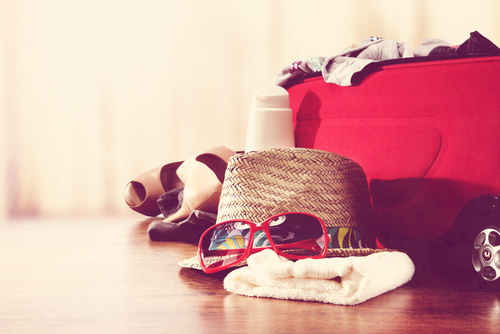 When traveling, you would most likely get wrinkles and creases on your clothes especially if you packed it the wrong way. Besides from folding your clothes into a square and then stacking them all up into a pile, there are actually more efficient ways in folding your clothes! 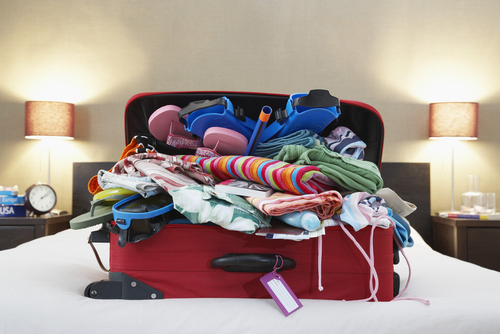 You can even save so much luggage space from the tips we have compiled for you below. 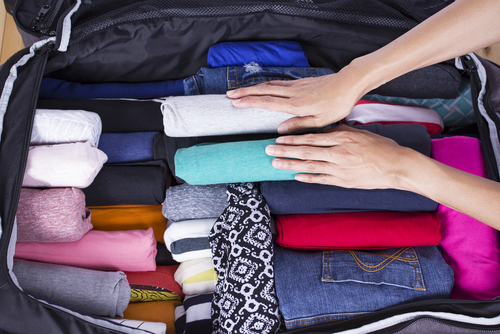 Keep on reading to know how to fold your clothes to save space and fit a lot of stuff into your luggage! The rolling method is actually the best way to save space and reduce the wrinkles of your clothes. It is very efficient that even the US military uses the rolling method. It is excellent in fitting more stuff into your bag or if you want to lighten up the load. This method works well with socks, synthetic T-shirts, tank tops, shorts, sweats and some pajamas. The most important thing you need to remember when using this particular method is to make sure that you smoothen the clothing item as you roll it up. This is to ensure that all the sides of your clothes wont get wrinkled. Before rolling it up, make sure that the shorts or jeans are smooth. You can then start rolling it up its length but it does not matter where you start - either on the cuff or on the bottom. It would be wise for you to pack your shorts and jeans first because they are big and harder to fit so you are sure that you can pack it into the bag and bring it with you as you travel. To do this, you first need to lay the t-shirt face down on any flat surface. Next, fold the sleeves onto the main body part of the shirt. Smoothen out all the wrinkles and then fold it lengthwise. You can now start rolling it up and pack it in your bag! Lay the shirt face down again. Fold the sleeves of the shirt down, making it touch the shirt’s hem. Fold it lengthwise and then begin rolling starting from the hem. For your nicer shirts, smoothen the shoulders first before folding them and make sure that both the ends of the shoulders are touching. You can now fold the bottom third of the shirt and then fold the top down so it would overlap the bottom. After which, flip it to the other side and place your hand between the fold to smoothen bunched fabric if there is any. The last step is to roll it up starting from the hem as well. To avoid getting wrinkles and bunching, smooth your clothing item beforehand and as you are rolling. Dresses, dress trousers and skirts are best put at the bottom of the bag or luggage because they can be more secure there and they are actually bigger than your undergarments and t-shirts. Your clothes will remain wrinkle-free if you hang up all your clothes as soon as you arrive at your destination. 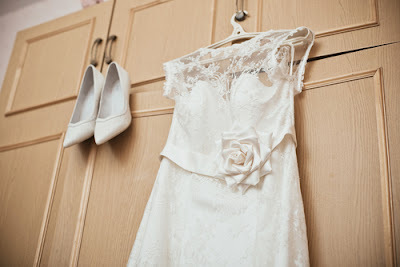 If you are short of a hanger, just choose the ones that are easily prone to wrinkle like silk shirts and fancy dresses. If you leave your clothes in the luggage, it would eventually crease because of all the rooting you need to do. You would end by messing up everything so hang your clothes into your hotel room closet to avoid dealing with this problem. A flat rectangular organizer pouch can be used as a core element of your bundle. An organizer pouch, if you don’t already know, is a pouch with a rectangular shape that has a lot of organizing pockets. It is a great storage place for small items like brushes and jewelry which could easily get lost in the bag. You can use the pouch as a place to store socks, underwear, laundry bag, swimwear but make sure you do not overstuff the pouch so it wont be too bulky. You can start with the heavy items such as the jeans, shorts and jackets. Lay it all on the bed, table or basically any flat surface. Smoothen out the wrinkles before proceeding. Usually, garments will lie facing upwards. If you have a tailored jacket, make sure that it faces downwards and position the sleeves as naturally as you can. You need to do this because it can easily crease if it is facing upwards. Fold the skirts and dresses in half lengthwise. All of them should be alternately situated from left to right as you stack them up. Follow the buttoned long sleeved shirts as well as the t-shirts. Alternate them by pointing down and up for each one. Make sure that the shirt collars line up with next shirt’s armpits. Add the trousers or slacks alternately from left to right and the sweaters and knit garments alternating to an up and down orientation. Wrap the clothing pile tightly but do not stretch the clothes or else it will crease. As soon as you successfully wrap the bundle with the legs of your jeans and sleeves of your shirts, place the whole bundle into the suitcase. The extra space you have saved up can be filled with the rest of your belongings like your shoes and make up bags!